Well, the atmosphere over the Oklahoma Mountain Gateway is feeling “super-charged” and the air has an static electric feel to it…! 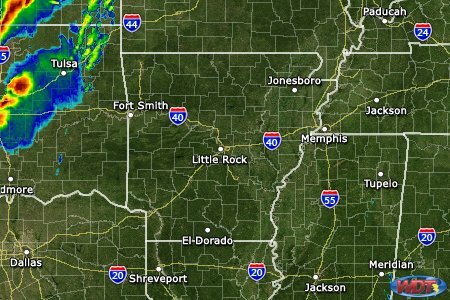 Oklahoma Weather Radar [see above image] at 6:00pm Central Time ~ shows heavy storms coming towards the Gateway region of Oklahoma/Arkansas. Weather reporting numerous tornadoes this evening from this system with injured & damge in Oklahoma City area, especially around Edmond, Oklahoma. Reports now coming in from Fox Alert of golf ball to grapefruit size hail coming from the system and seems widespread…! OK ~ Larry Taylor is battening down the hatches and getting ready for this storm system as the Weather people say it is long-duration storms & very dangerous! Dear Jesus I pray your precious blood and protection on my brother Larry and sister Darnette in these storms. Send them away from your Bride in Jesus holy name. Amen! Never seen such horrible, freak weather everywhere. Last week, here in the mid -Atlantic region, a 90 mile per hour straight line wind came seemingly out of nowhere. Thirty roads had to be closed due to fallen trees, etc. The county next to us took a beating. We had small hail. We need to get in the habit of pleading the Blood of Jesus over our homes, families, neighborhoods, pets, etc. as these are no longer “normal” times. Let’s keep Larry, Darnette, and household in prayer until the storms pass. Good luck, Buddy! Keep your head down and your powder dry! May Father shelter you under His wings! Stay safe!!!! Prayers for your safety! Every time I hear the name Oklahoma, I think, “Lord, watch over Larry and Darnette!